This level has medium difficulty. 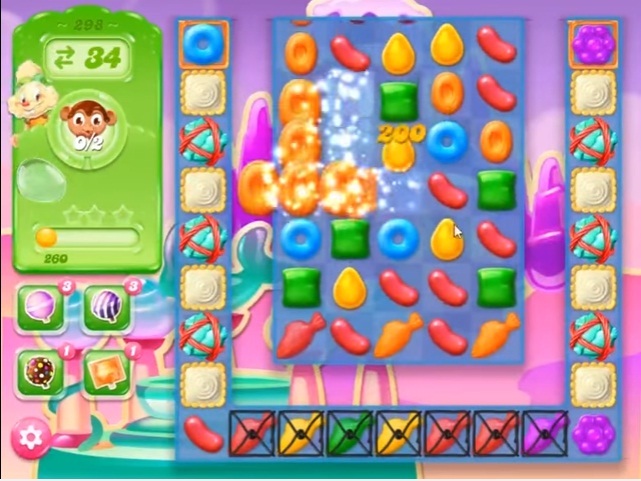 For this level try to play more from middle part of the board to shuffle the candies and make special candy as you get the chance. Combine them with each other to get more chance to collect the Monklings. Came looking for help and all the videos only need 2 monklings. Playing on android and it requires 3. Guess I need to play this one on the PC. I am on IPAD and I have to get 3 monklings. It looks like the poster has a totally diff version . Huston we have a problem. Can it be fixed I can get two no problem but would like help on 3 or should I just delete the game?